Designed for a dynamic lifestyle, the TYR Women’s Lyn Racerback-Carnivale caters to adventurists both in and out of the water. Whether it’s a morning workout or a paddleboarding excursion, the BRCA7A features the ultimate blend of comfort and function. 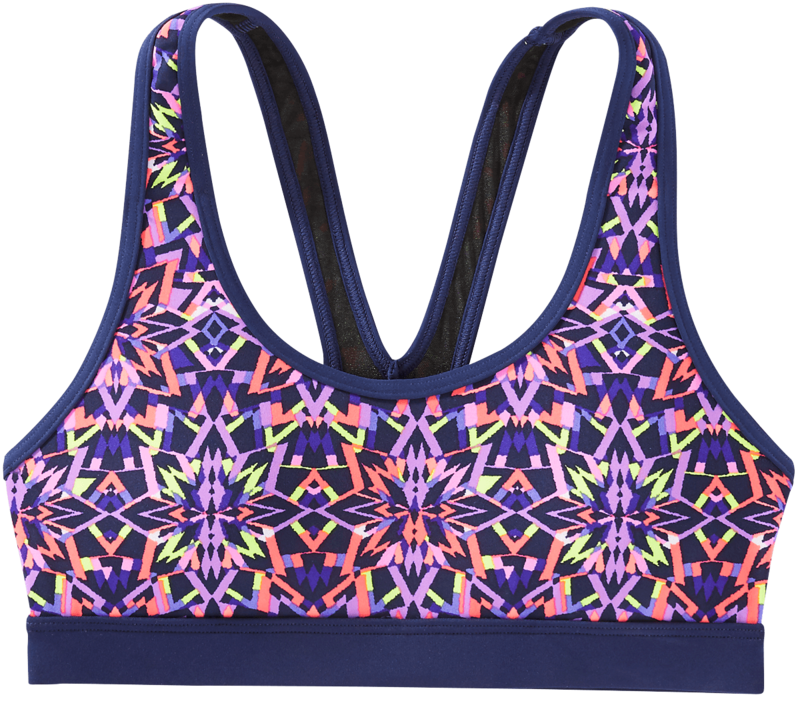 With a vibrant print, classic coverage and removable cups, this aquatic sports bra is inspired by women who aren’t afraid to sweat it out. 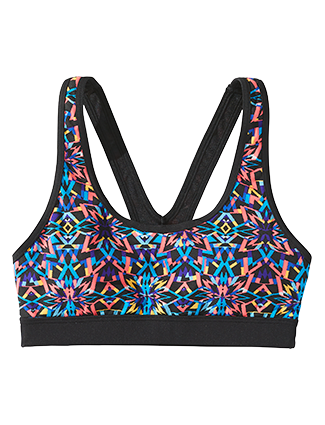 Created with UPF 50+ technology, the fully lined BRCA7A racerback ensures sun safety for every outdoor activity. 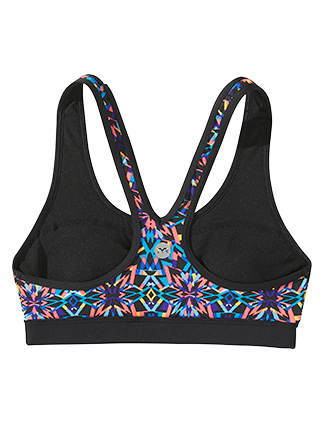 Breathable fabric, power mesh control and 360 degree range of motion guarantee a sleek fit and unrestricted movement. This is a medium support top and is recommended for A/B/C/D cup sizes. Designed for mid impact movement both in and out of the water. Service from TYR is great! I am keeping the item but I notice that the removable bra pads were folded over and don’t actually fit in he space. So I removed them and the top will work OK for me without them.